CLOSEOUTS. 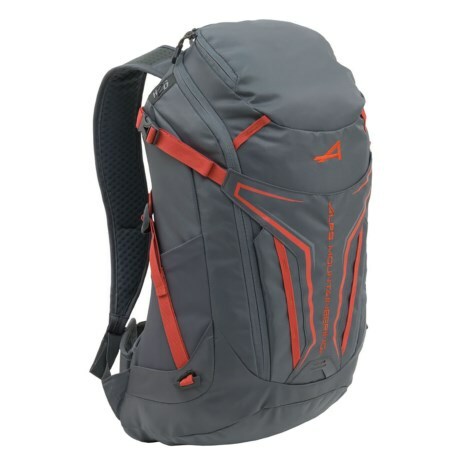 For day-long explorations or climbing, this ALPS Mountaineering Baja backpack sports a scaled-down build with an external sleeve for a helmet or rope, and a hydration-compatible main compartment. Available Colors: CHARCOAL/CHILI.